For those who still prefer standalone software, Microsoft has announced Office 2019, an alternative to Office 365 subscription product. Office 2019 will ship in the second half of 2018, Microsoft said, with a preview version scheduled for mid-2018. The Office 2019 suite will include the standard complement of Office apps: Word, Excel, PowerPoint, Outlook, plus server apps like Exchange, SharePoint, and Skype for Business. Presumably, Microsoft will offer different versions of Office 2019 (including a version for the Apple Mac), but executives didn’t say. 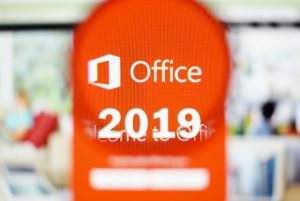 Microsoft calls Office 2019 a suite of “perpetual” apps, because customers will pay for them with a one-time fee, rather than a recurring subscription. Microsoft has yet to announce a price for Office 2019. Owning a perpetual license to, say, Word, is enough for some. Basic functions like spell-checking don’t change much from year to year. But Microsoft periodically adds new features to the versions of the Office apps that ship with Office 365. Office 2019 will add these new features—including improved inking, data analysis for Excel, Morph and Zoom transitions for PowerPoint, and more—but they’ll be more like a snapshot in time. After some future cut-off date, Microsoft will stop adding features. Microsoft provides another advantage to Office 365 subscribers: Even if a customer buys a $70 Personal subscription, that license is technically available to more than one device: one PC, one tablet, and one phone. 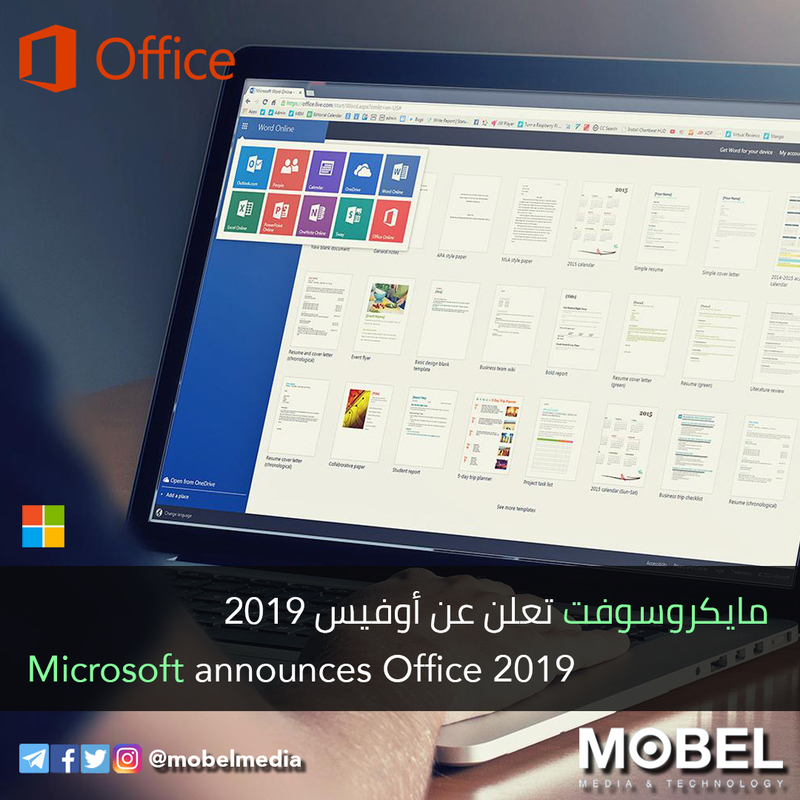 Office 2019 can be installed only on a single PC. That’s important, as users who don’t have a valid Office license installed on a device can only view, not edit, documents. أعلنت شركة مايكروسوفت أنها ستطلق التحديث الرئيسي الجديد لحزمة تطبيقات أوفيس 2019 العام المقبل 2018 والبداية مع نسخ المعاينة منتصف السنة. وتتضمن الحزمة برامج أوفيس المعتادة مثل وورد، إكسل، بوربوينت، أوتلوك وكذلك إصدارة المخدمات من تطبيقات خاصة بالشركات مثل Exchange للبريد الإلكتروني و SharePoint وسكايب الشركات. وتقول مايكروسوفت أنها صممت الإصدار الجديد القادم من أوفيس لتستهدف به الشركات التي لا تستخدم النسخة السحابية من أوفيس 365. ويدعم أوفيس 2019 المزايا الجديدة من ويندوز مثل خاصية التعرف على مستوى الضغط المختلف بالقلم الضوئي لإجراء عدة تعديلات وتأثيرات. وهناك صيغ جديدة أصبح يدعمها إكسل وأيضاً رسوم بيانية جديدة لتحليل البيانات. هذه لمحة عن أبرز الجديد وستعلن مايكروسوفت لاحقاً عن المزيد من التفاصيل في كافة تطبيقات أوفيس، ومن كلام الشركة نفهم أنك لو كنت تستخدم أوفيس 365 فإن لديك مزايا أحدث من مستخدمي النسخة العادية المكتبية وتسعى الشركة لوضعها فيها تدريجياً.